We all know the benefits of turmeric to our health, which is why, I’m giving you some simple and healthy recipes we can make using turmeric. This marinated turmeric ginger grilled chicken is very easy to prepare, full of flavor and filled with delicious ingredients that will increase your immunity and health. Turmeric and ginger are excellent anti-inflammatories with tons of health benefits, while the coconut milk gives a rich flavor that has an absolutely incredible taste when combined with cumin, garlic, and lime juice. Marinating the chicken all night would be best, as this gives it more time to absorb everything, but if you do it in a pinch, 1 to 2 hours is enough. I hope everyone loves this marinated turmeric ginger grilled chicken as much as we do! Place the chicken in a large airtight bag or in a container. For the marinade, combine the coconut milk, garlic, turmeric, ginger, cumin, coriander, lime juice, salt and olive oil until it is even. Pour the marinade on the chicken until it is completely covered and sealed. Marinate the chicken in the fridge for at least an hour, but best overnight. Preheat the grill over medium-high heat, making sure to lightly spray with oil to prevent sticking. 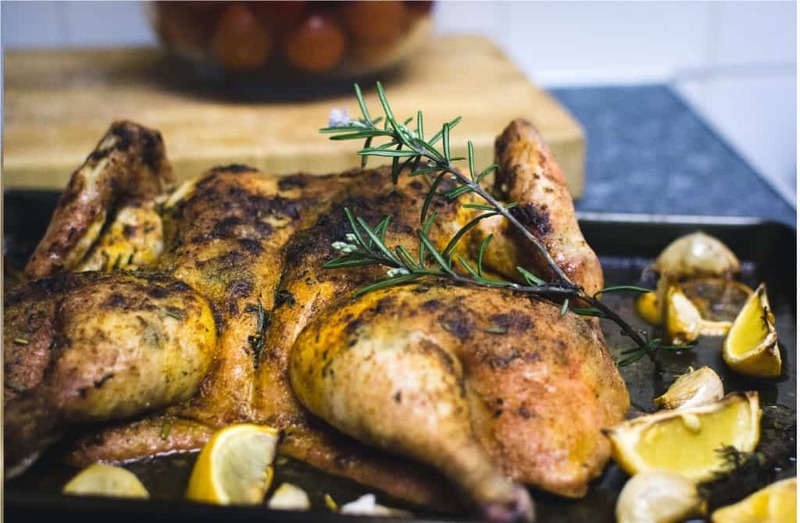 Roast the chicken by covering about 5 to 6 minutes on each side until it is cooked and the juice comes out clean. Cover with lemon juice if you wish and enjoy!